The High Country Healing recreational and medical marijuana dispensary is light up Sunday night in downtown Silverthorne. The town's elected officials voted 4-1 to renew the dispensary’s businesses licenses last week after an Oct. 4 sales violation, a signal that opinions about marijuana may be changing. Silverthorne Police Chief John Minor told the general manager of the town’s only marijuana dispensary that a recent sales violation shouldn’t be a problem. In turn, the manager thanked the chief. The two seemed to agree that, while underage marijuana sales need to be taken seriously, people might be better off treating pot more like they do alcohol. On Wednesday night’s agenda, Silverthorne Town Council was about to vote on renewing the dispensary’s licenses that allow it to sell medical and recreation marijuana products along the Blue River Parkway by Interstate 70 in downtown Silverthorne. Before the meeting began, Minor crossed the room to give High Country Healing store manager Joe Pepe a heads up. The letter he wrote the chief about a store employee getting caught selling to an underage operative had been forwarded to council and included in the agenda packet. In the letter, the general manager described how the store’s internal procedures broke down when the underage operative working with the state’s Marijuana Enforcement Division made a purchase the morning of Oct. 4. On Sunday, the manager emphasized the store’s commitment to public safety, consumer education and ensuring that its products stay out of the hands of anyone under 21 years old. To date, the store has confiscated approximately 200-300 fake or fraudulent IDs and turned them over to law enforcement, he said. Chief Minor introduced the agenda item when Silverthorne Town Council came to the dispensary’s licenses, telling council of a Nov. 14 inspection he did at the business with the town’s senior planner. “We found no issues of concerns with the business on that day,” Minor said, adding that town staff recommended renewing the dispensary’s licenses before offering to answer any questions. The chief made no mention of the state-organized sting, in which an underage buyer working with the state slipped through two ID screens and made a buy at the store. On Thursday, Minor said he didn’t bring that up because he believed it wouldn’t be an issue in council’s decision. By forwarding the letter to council members, he said he was certain they already knew about it. Plus, he likes to keep things brief. “We only have one marijuana business, and they are about as transparent as any business you are going to find,” the chief said Wednesday. Without question, discussion or comment, council sided 4-1 on giving High Country Healing’s business licenses another year. As has been the case in previous marijuana-related votes, Councilman Bob Kieber was alone in his opposition. “It wasn’t a coordinated effort,” Mayor Ann-Marie Sandquist said, responding to a question about council declining to bring up the underage sale at High Country Healing during last week’s hearing. She also said the store’s general manager and owner were extremely remorseful. The underage sale was referred to Fifth Judicial District Attorney Bruce Brown’s office as a criminal case against one of the employees who allegedly allowed the exchange to take place. On Friday, senior deputy district attorney Lisa Hunt said the office takes underage marijuana sales very seriously and typically won’t plead down or make any kind of offers for such a case. But again, because the Oct. 4 sale to the undercover was seen as more of a mistake than a willful act, the district attorney’s office declined to prosecute the employee in this instance. The employee also expressed remorse and had no priors, Hunt said, adding that no other employee was charged. Some notes included in the case file come from what the employee apparently told the prosecuting attorney. The notes provide a conflicting account of what happened compared to the general manager’s letter to Chief Minor. Hunt acknowledged the discrepancy but said that, based on all the information the district’s office had, the decision to drop the charge felt appropriate. Although its town-issued business licenses are renewed, local officials are satisfied the store has fixed any problems and the district attorney’s office is declining to prosecute the employee, the sting isn’t fully resolved just yet. The state’s Marijuana Enforcement Division still has the matter under review for consideration of administrative action. “I am aware of the specific incident you referred to,” wrote Keith Kuretich, the agent in charge of investigative operations in northern Colorado, in an emailed response to the Summit Daily News. Kuretich said he could not comment on the incident at High Country Healing because it’s still considered an open investigation and declined to provide any additional information. An agency spokeswoman later explained that penalties imposed by the Marijuana Enforcement Division vary widely depending on the type of infraction. Fines imposed last year ranged from less than $10,000 all the way up to $100,000 or more. The spokeswoman said the agency often takes aggravating and mitigating factors into account when deciding what’s an appropriate penalty for a given violation. In addition to potential fines, the division can suspend or revoke a dispensary’s license. She said that most dispensaries in Colorado are operating within the law. Through the first half of 2018, the division found a 100 percent compliance rate across the state, meaning that the agency didn’t report a single violation during that timeframe. 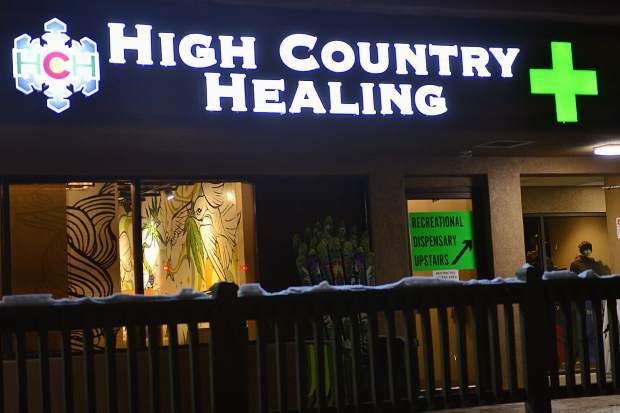 The Oct. 4 violation at High Country Healing also appears to be the first of its kind in Summit County. Through a combination of an open record request with Dillon and conversations with the Frisco, Silverthorne and Breckenridge police chiefs, there is no knowledge of any other similar violations at any local marijuana dispensary dating back to at least January 2014, when recreational marijuana sales became legal for adults ages 21 and up in Colorado. In the letter to Minor, Pepe notes that there hasn’t been a single violation at High Country Healing dating back to 2009, when the store began selling medicinal marijuana. But he also acknowledged the store must look to its employees to enforce the rules. As a result of the underage sale, one employee was fired from the store and another reprimanded. Asked if Silverthorne’s handling of the violation at High Country Healing signals a changing attitude about marijuana, Chief Minor referenced another council vote that came right before High Country Healing’s licenses on Wednesday, when council renewed the liquor licenses for two other local businesses. “I think eventually at some point in time, it will be,” Minor said of marijuana being treated more like alcohol from a regulatory standpoint. If a business that sells alcohol can get a second chance, Minor said, maybe a dispensary should be able to get one, too.